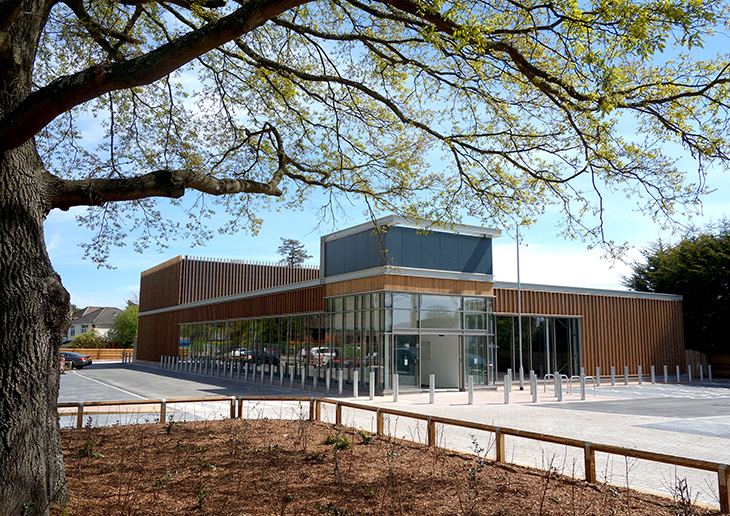 The site with its edge of town centre position, is located along the Ringwood Road which is a main arterial route through the centre of Ferndown. 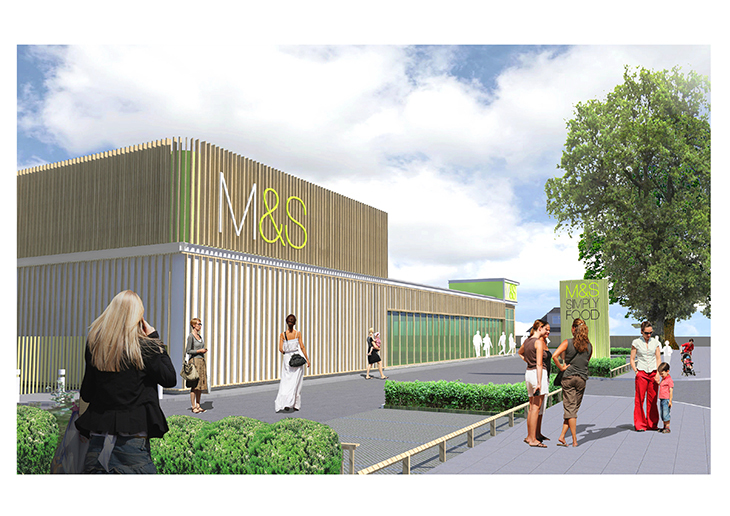 The proposed 16,000 sq.ft food store for Marks & Spencers provided a much needed facelift to this urban site and delivered improved amenity for local residents. 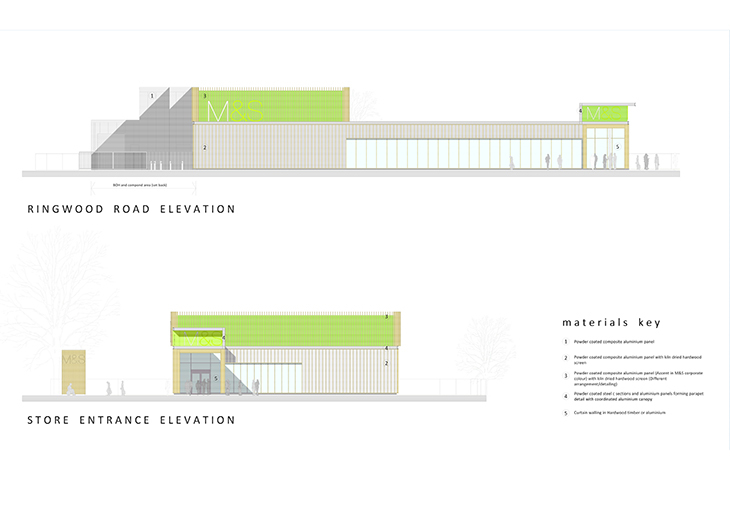 Key to the schemes success was integrating the traditional supermarket typology with an appropriate urban response by providing a scale, size and building arrangement which met both the operational and residential urban streetscape. Careful scheme design led to the development re-imagined into a unique and ‘local’ building. Adopting simple lines and a simple materials palette, the building is presented as a crisp linear retail box with a ‘floating’ vertical timber rainscreen employed to provide a reference to the tree lined highway and to soften the otherwise commercial retail cladding. This was then punctured with curtain wall sections to reveal the retail offer beyond a permeable and active frontage.